In a hectic world, it’s heartwarming to discover Pottery & Pints. It’s almost too cute to be a business. 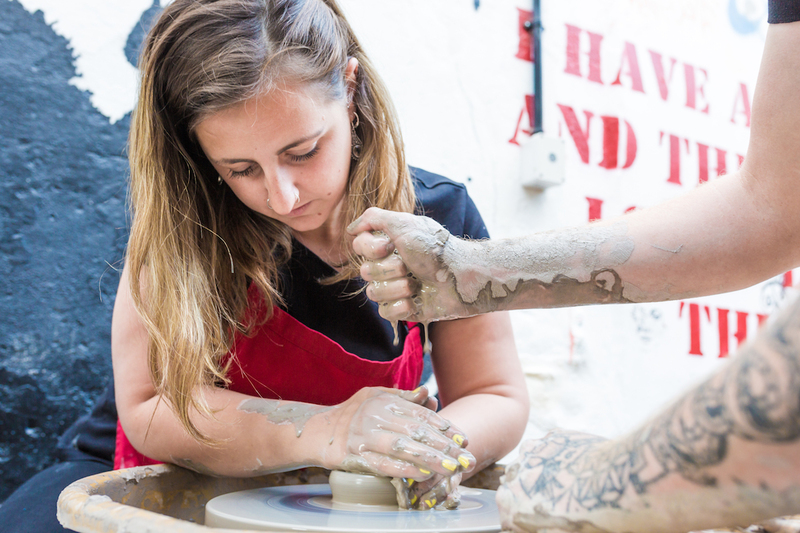 Guests get full tuition in pottery throwing, starting with a demonstration of how to mould certain shapes. They then make their bowl or vase on the spinning wheel, all whilst sipping on craft beer or wine in a cosy pub setting. It’s absorbing, educational and therapeutic. Turn off all devices, and let the silky smooth feel of the clay overtake your senses. Time melts away as you focus on the pot and it emerges from the gloop. 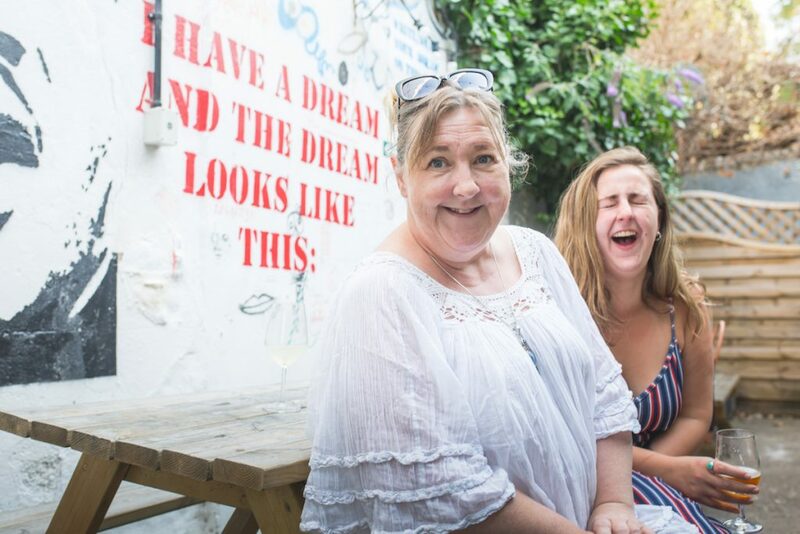 “We had a workshop a couple of weeks ago, and I had to take a photograph, because all these people looked like they were having the best time,” recalls Aly. It’s no surprise. It’s a wonderful concept, with a catchy name. Revenue comes from guests who pay per head, or per group. And they’ve negotiated a deal with pubs, who enjoy a lift in sales on quiet weekdays. Overheads are kept low by using pub venues. Aly does the social media and marketing, and Kate handles the hostessing. The third member of the team, Nic, leads many of the sessions, and brings in extra potters to help out when demand is high. The next step is creeping up to London, and looking to franchise right up through England, and into Scotland, Wales and Ireland. And France. The masterplan? The trio want to get the whole nation making pots down the pub.